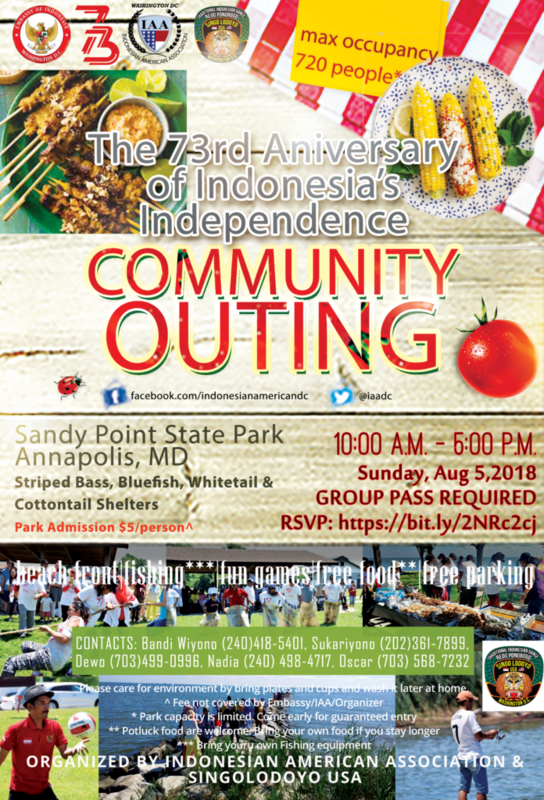 Come join the Indonesian Community’s Annual Outing at the beautiful Sandy Point State Park in Annapolis MD on Sunday, Aug 5, 2018. Last year’s event was sold out so quickly we had to book 2 additional shelters. This year we have 4 shelters booked, and great menu served by our friends from Singolodoyo USA. Feel free to bring your own food if you plan to stay longer for fishing, swimming, or just chillin’.